A functional accent to the decor in your bedroom, having dressers and chest of drawers allows you to neatly store your clothes, accessories and other needed items. A stately dresser adds a formal touch, or a bureau colored white easily brightens and wakes up a dark room. The type of dresser that you choose should be adequate and functional, but should also complement your existing bedroom look. When thinking about types of dressers, remember that a long dresser offers you different sized drawers for various clothing storage needs. For example, a long dresser provides you with room for a drawer for underclothing or socks, and deep, full drawers for pants, jeans and shirts. A tall dresser certainly provides the same amount of space, with deeper, shorter drawers, great for long-sleeved shirts and winter sweatshirts. Color is also an important factor when choosing your dresser. Greys and beige hues complement most existing decor perfectly. Dark colors, such as black and espresso, contrast against white walls for a powerful look. White and off-white dressers brighten up a dark space. You are easily able to mix and match furniture when selecting from Pottery Barn, or choose from bedside table and dresser sets for a complete look without mixing and matching. Adding a bedside table or nightstand is a terrific way to maximize your storage and boost the comfort level in your bedroom. A bedside table is a terrific addition so that you are able to place personal items, such as your glasses, phone or drinks beside you for use during the night. Most bedside tables or nightstands come with drawer or shelf space for storage of items such as books, jewelry and knick-knacks. Match a complete set with your headboard and bed furniture for a uniform look, or use contrasting materials and colors for an eclectic vibe. If you would like everything in your bedroom to be completely on the same wavelength, complete bedroom bedroom collections are a terrific idea. Match not only your dresser and chest of drawers, but add other pieces of furniture, such as a wardrobe, stools or even a chifforobe. Popular collections such as Hudson, Banks and Raleigh appeal to your sense of style. 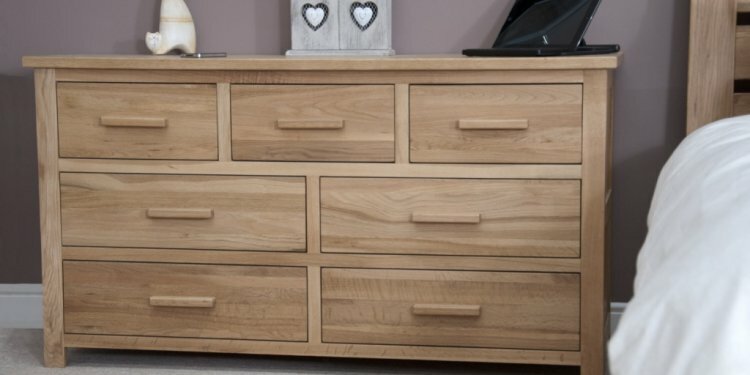 Choose from contemporary, modern or formal styles to give your dresser and chest of drawers and your entire bedroom a complete, uniform look. While collections are grouped together, you are still able to pick and choose individual pieces, should you like to alternate styles and colors, or add contrasting materials to complement your existing decor.